Amendment of section 82 of Maharashtra XXIV of 1961. Amendment of section 83 of Maharashtra XXIV of 1961. Amendment of section 85 of Maharashtra XXIV of 1961. In section 85 of the principal Act, in sub-section (1), after the words “deceased members of the society” the words “and pass such order within a period of six months from the date of submission of inquiry report” shall be inserted. Amendment of section 88 of Maharashtra XXIV of 1961. 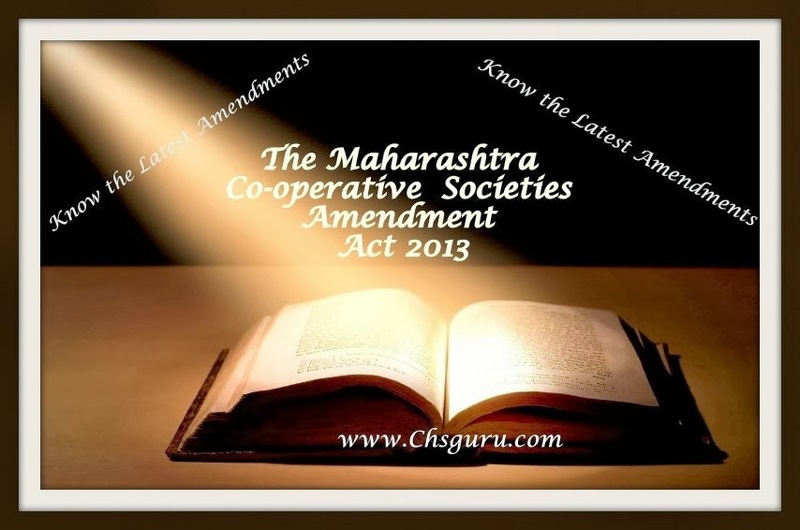 Amendment of section 89A of Maharashtra XXIV of 1961. “the returns as provided by section 79 are submitted to the Registrar regularly and properly.”. Amendment of section 91 of Maharashtra XXIV of 1961. Amendment of section 92 of Maharashtra XXIV of 1961. “Or an administrator or committee or authorised person has been appointed under sections 77A, 78 or 78A, be six years from the date of the order issued under section 77A, 78 or 78A or, under section 102, as the case may be”. Amendment of section 93 of Maharashtra XXIV of 1961.
for mediation, the court may effect compromise between the parties and shall follow such procedure as may be prescribed.”. Amendment of section 94 of Maharashtra XXIV of 1961. “(3A) If the disputant is present and the opponent is absent, when the dispute is called out for hearing, the Co-operative Court may decide the dispute ex-parte, and pass an award. The Co-operative Court, may set aside the ex-parte award upon such terms as to the payment of costs, to the court or otherwise as it thinks fit, if the opponent makes an application within thirty days from the date of the award, and satisfies the court that there was sufficient cause for his failure to appear, when the dispute was called out for hearing and appoint a day for hearing and deciding the dispute on merits. (3B) If the opponent is present and the disputant is absent, when the matter is called out for hearing, the Co-operative Court may dismiss the dispute for default, and pass an award accordingly. The Co-operative Court may restore the dispute which is dismissed for default and restore the same, upon such terms as to the payment of costs, as it thinks fit, if the disputant makes an application within thirty days from the date of its dismissal, and satisfies the court that there was sufficient cause for his failure to appear, when the dispute was called for hearing and appoint a day for hearing and deciding the dispute on merits.”. Amendment of section 95 of Maharashtra XXIV of 1961.
for the words "authorised person" wherever they occur, the words" authorised officer" shall be substituted. Amendment of section 96 of Maharashtra XXIV of 1961. “to the Co-operative Court, it may, after giving a reasonable opportunity of being heard, to the parties to the dispute, make an award regarding the dispute”. Amendment of section 97 of Maharashtra XXIV of 1961. In section 97 of the principal Act, for the words "authorised person" the words "authorised officer" shall be substituted. Amendment of section 98 of Maharashtra XXIV of 1961.
in the proviso, after the words “signed by the Registrar” the words “or Co-operative Court” shall be inserted. Amendment of section 101 of Maharashtra XXIV of 1961. "Recovery of certain sums and arrears due to certain societies as arrears of land revenue." Amendment of section 102 of Maharashtra XXIV of 1961. In section 102 of the principal Act, in sub-section (1), in clause (a), after the words and figures “under section 84” the word, figures and letter “or 89A” shall be inserted. Amendment of section 109 of Maharashtra XXIV of 1961. “Provided further that, if, due to termination of liquidation proceedings at the end of ten years, the Registrar comes to a conclusion that, the work of liquidation under section 105 could not be completed by the liquidator due to the reasons beyond his control, he shall call upon the liquidator to submit the report. After getting the report, if the Registrar is satisfied that the realization of assets, properties, sale of properties still remained to be realised, he shall direct the liquidator to complete the entire work and carry out the activities only for the purposes of winding up and submit his report within such period not exceeding one year reckoned from the date of receipt of report from the liquidator.”.